For lots of parents, Christmas isn't complete without heading to the mall for a photo of Santa with the kids. But arriving to a long and over-populated line winding its way toward Santa can be a spine-shuddering nightmare. 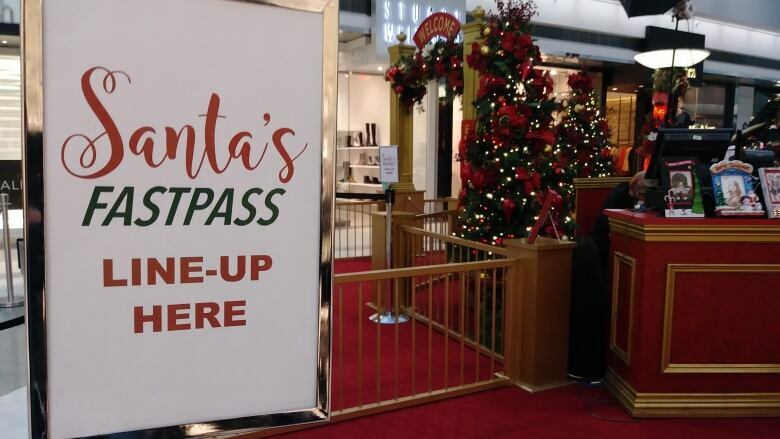 Enter 'FastPass Santa,' a way to skip the long queue and shorten your wait time by going online and booking a specific time slot — so you and your kids don't have to endure that long line. The convenience has caught on — big time — 330 malls across the continent now offer the reservation system. "We are proud to share that all Santa's FastPass appointments across our portfolio are nearly sold out," said Ruth Rosenquist, the director of marketing and communications with Cherry Hill Programs. The U.S.-based provider created the system in 2009 as a convenience for those guests willing to pay the fee. This is the first year Oakridge Centre in Vancouver is offering pre-booked reservations. Guests pay an additional $7.95 convenience fee on top of the cost of the photo package. "We didn't know about it until we got here," said Deanna Canning, who came to Vancouver's Oakridge Centre with her husband and one year-old son Henry. 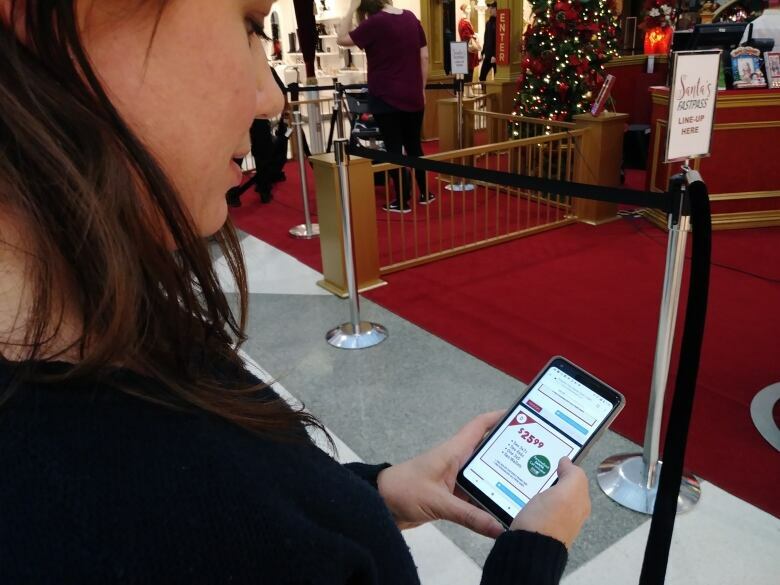 Canning pulled out her phone the moment she saw the FastPass sign and in no time had booked an online reservation — moving her family into the Polar Express lane — just in time for Santa's arrival. The express lane however, brings with it the potential for all hell to break loose — because the regular and FastPass lines eventually converge — and those in the regular line are made to wait as the FastPassers take their turns. Alex Cvijic, beaming with the spirit of the season, said none of that mattered. He and his wife Kelly, along with their three kids decided the regular line was just fine. Cvijic said waiting and the build-up of anticipation is all part of the excitement of finally getting on Santa's knee. "You gotta get in the Christmas spirit, you can't get too upset about these little things," he said. "There's only one Santa right?"